Nottingham Greenwood - Allez les étudiants de Nottingham Academy! 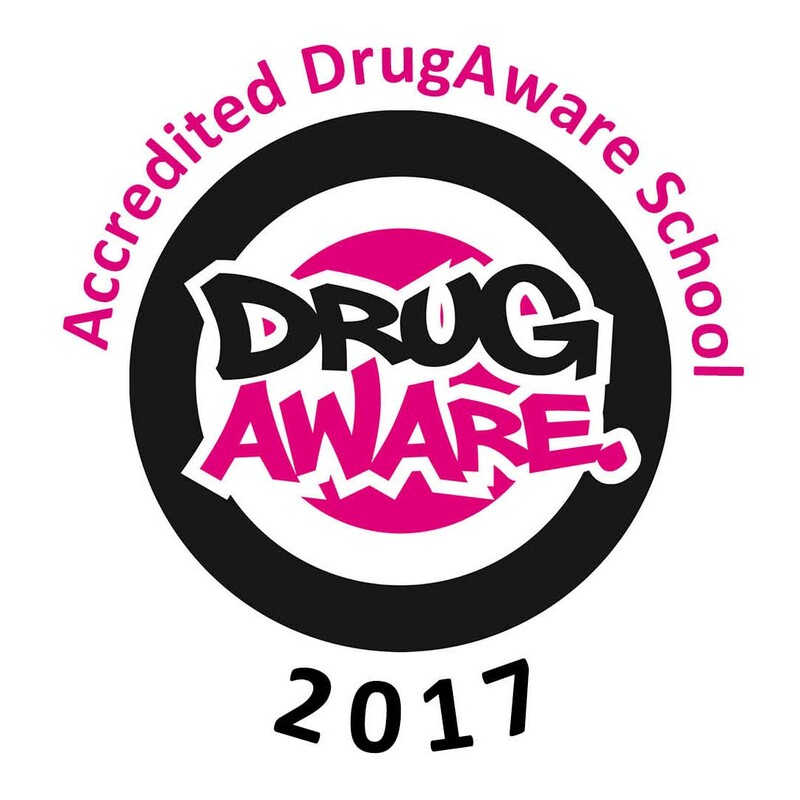 Allez les étudiants de Nottingham Academy! Last week, Ms Gangneux, Mr Johnson and Mrs Jones had the pleasure of accompanying 23 Year 10 pupils to Normandy in France. 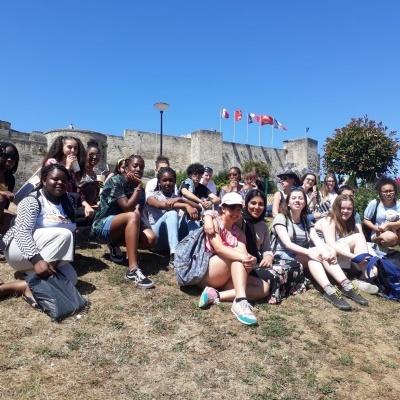 The pupils were both French and History students and the aim was to experience French culture as well as learn about WWI and II and visit some of the D-Day landing beaches. The pupils were exemplary. Staff were sincerely very proud of their attitude and their effort to understand and reflect on some of the most disturbing events of the past century. 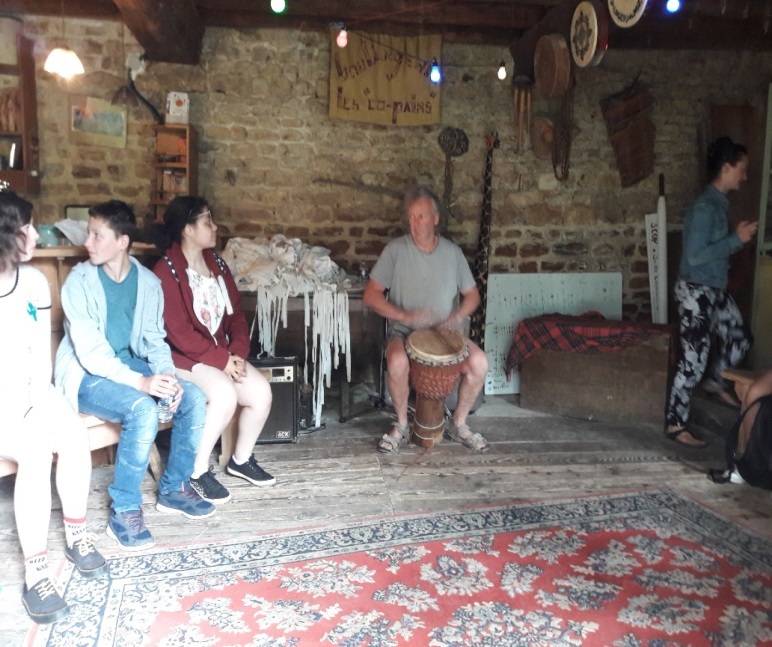 They enjoyed trips into famous towns such as Caen & Bayeux, visited a chocolate factory and took part in a bread making session with a djembe playing German baker called Eric! Eric talked to them about the importance of generosity, humanity and understanding, (as well as teaching them to make bread, in French!) Eric takes surplus bread to feed the young Sudanese migrants in Ouistreham, who sit, every day, awaiting coaches and lorries bound for the UK; (they were only a few years older than our pupils). A true lesson in self-confidence (Ms Gangneux was banned from trying to translate for them), humanity and bread making! However, on a more sombre note, they also visited Sword beach, Ranville cemetery (where a majority of Brits are buried) and the American Normandy cemetery looking over Omaha beach, as well as Arromanches beach and the artificial Mulberry harbour which allowed a staggering 2.5 million men to land in France for the liberation. The students were fascinated. The numbers involved in both wars was phenomenal and not an easy thing to comprehend. This was one of the main comments from the students; how hard it is to understand just how many people were slaughtered and how well you get that sense of scale when you visit the cemeteries, it really brings it home. The students found the whole trip very enjoyable. Comments such as "Miss we were like a little family" and "Can we come again in Year 11 after our exams?" 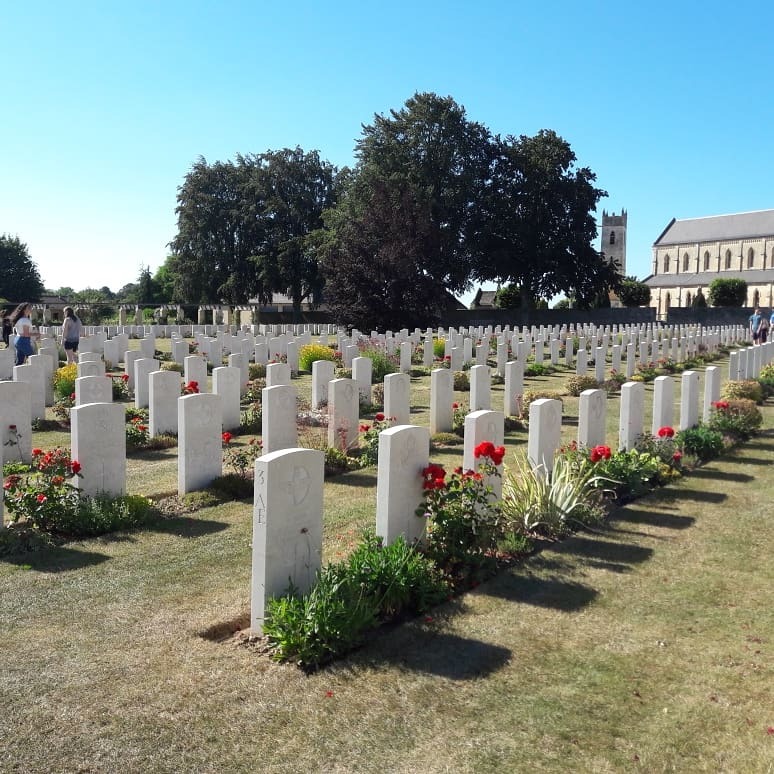 The importance of learning about the sacrifice made by the service men and women was not lost on them, and Ms Gangneux commented that "it was personally really satisfying to see from such young people." They preferred the WWII visits to the chocolate museum!